Pigs are tough on equipment. This simple water system doesn't tip in a pasture situation, stays clean and prevents the pigs from disturbing the hose connection. 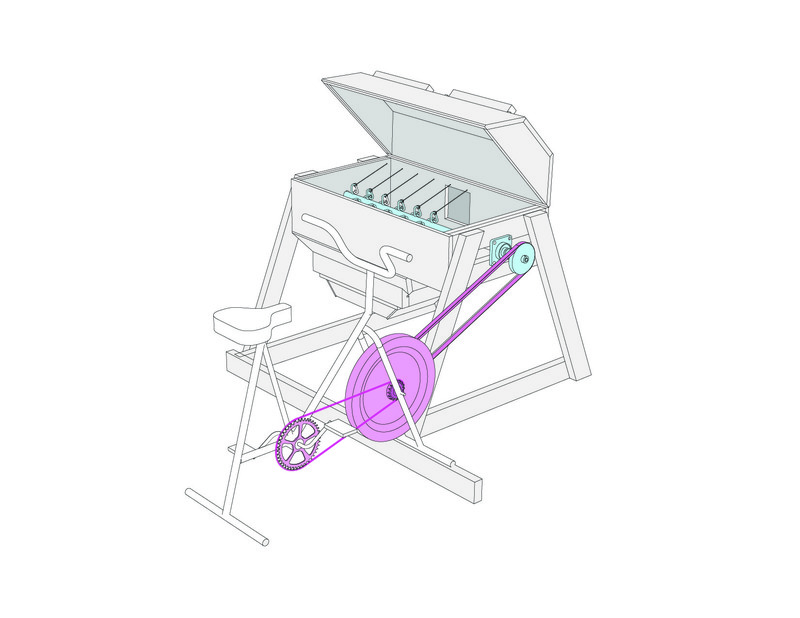 Complete instructions for making a bicycle powered thresher. Thresher works on various crops including dry beans, wheat, rice, rye, einkorn, and lupine. Threshes about one pound per minute. This is the first of three tools for small scale grain processing designed to allow small farms to dabble in grain. The other two tools are the bicycle powered fanning mill and the bicycle powered de-huller/flour mill. 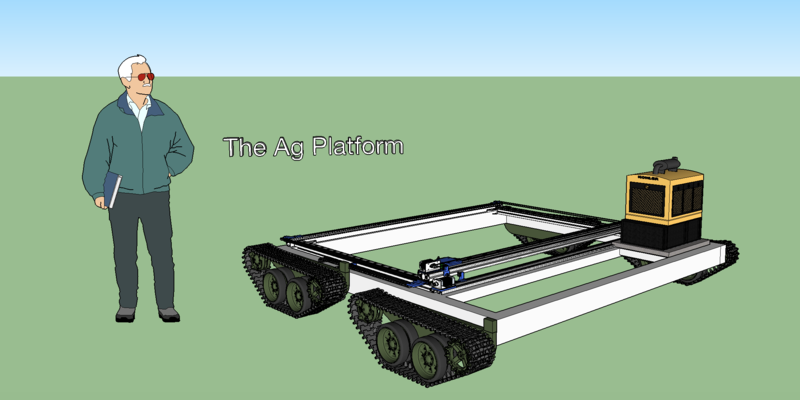 Inspired by the farmbot and other open source ideas, this is a concept I've been thinking about and finally did a quick sketchup to better explain it to some friends. You'll get the idea, just take a look. Let me know if there are any collaborators in the Bay Area! 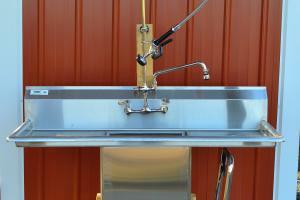 This is a sink that will also function as a spray table. 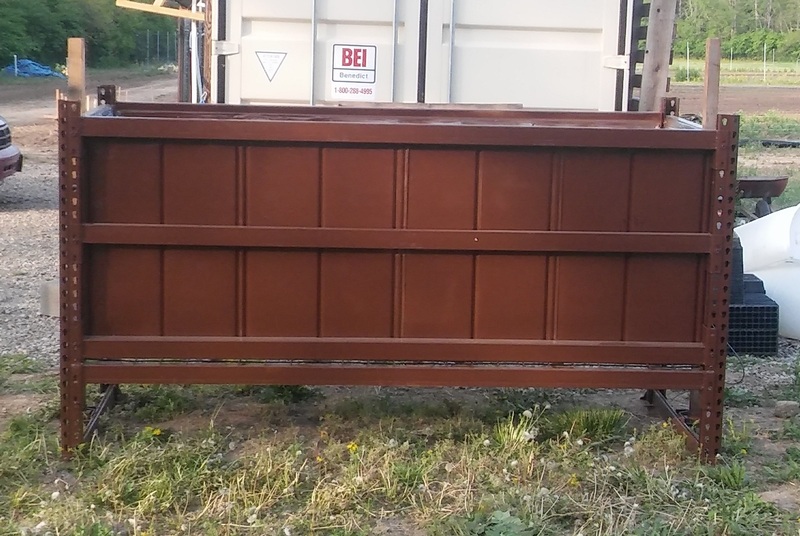 It has an adjustable work height to accommodate users of different heights and different tasks and was designed to be used in conjunction with dunnage racks. It was designed and built for the Small Farms program at the North Willamette Research and Extension Center in Aurora, Oregon with a Clackamas Extension Innovation Grant. 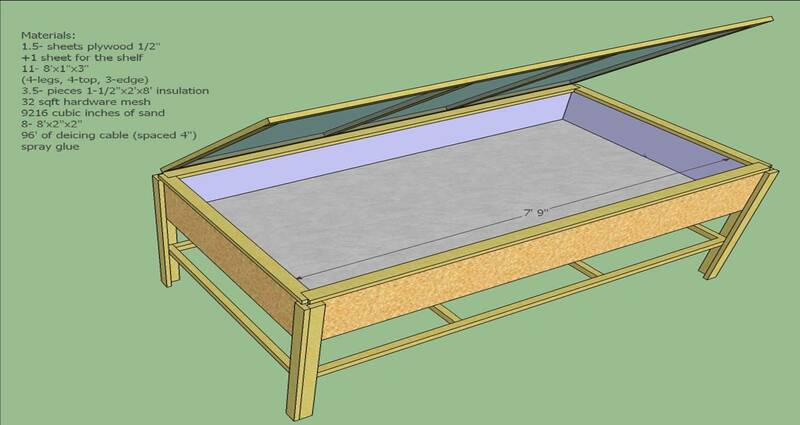 The purpose of this tool is to provide a space to vermicompost a variety of waste ( animal manure, food scraps, or other organic waste) with worms and produce safe worm castings, a valuable resource. 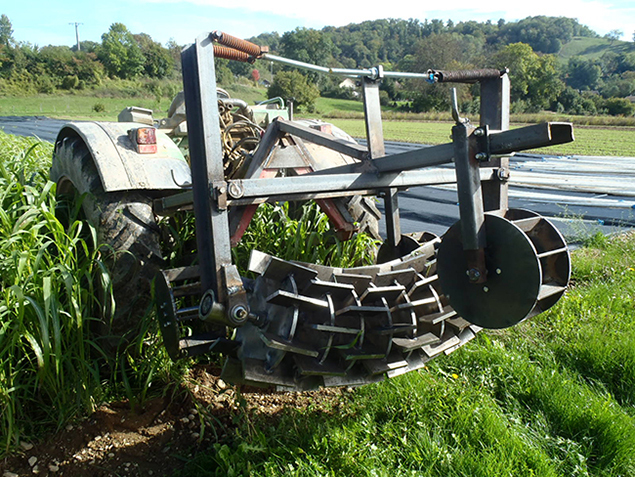 The worm castings can be utilized in a variety of ways on the farm or sold to other farms and gardeners. A "sweat box" style germination chamber built using readily available parts and a broken chest freezer. Early season germination can be inconsistent without a closely controlled environment for starting seeds. Commercial greenhouses use similar systems but the cost can be prohibitive for the small vegetable grower.